Bentley Turbo RT, 1997,#SCBZP23C7 WCX66192. Note wire mesh radiator inserts and special light alloy wheels. Some stretches of German "Autobahn" still do permit to use the cars power to the limit. 0 to 60 mph in 6 seconds, top speed 250 km/h. 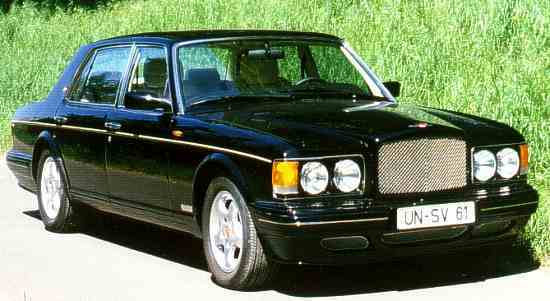 Bentley Turbo RT, 1997, #SCBZP23C6 WCX66426. 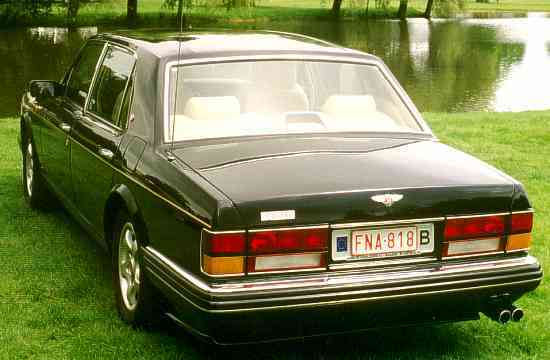 Registered in Belgium is this high performance Bentley Turbo RT. On Belgian highways it is not legal to employ the car at it's top speed.